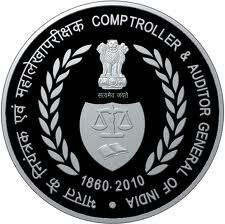 The Comptroller and Auditor General (CAG) of India is an authority, established by the Constitution under Constitution of India/Part V - Chapter V/Sub-part 7B/Article 148, which audits all receipts and expenditure of the Government of India and the state governments, including those of bodies and authorities substantially financed by the government. The CAG is also the external auditor of Government-owned corporations and conducts supplementary audit of government companies, i.e., any non-banking/ non-insurance company in which Union Government has an equity share of at least 51 per cent or subsidiary companies of existing government companies. For Clerk Posts – Candidates should have passed 12th or equivalent qualifications and having typing skills. Candidates might have attained 18 years of age to respond for this CAG Recruitment 2017. Upper age of aspirants should not be more than 27 years, except for government employees and SC/ ST/ OBC persons. Because for those excepted candidates relaxations are applicable as per government orders. The concession details are listed down. The candidates applied for CAG Notification 2017 will under below selection rounds. The recruitment board of Office of Comptroller & Auditor General of India will recruit applicants based on their performance. Check below CAG Clerk Recruitment selections rounds. Selected aspirants for CAG Clerk and Auditor Jobs 2017 will receive best pay scale from the organization. Check below post wise salary details. Candidates can apply for CAG Recruitment 2017 by satisfying the above-given eligibility criteria. Go through the below steps to fill the CAG Clerk Jobs Application Form 2017. Willing aspirants go and Download the blank Application Form from Comptroller & Auditor General of India Website www.cag.gov.in first, from Recruitment section. Then fill the mandatory fields in Application and paste one recent passport size photograph in it. Do not leave any field blank in application and sign atlast. Then send it to concerned Nodal Office along with following photocopies of requisite documents. The address for forwarding application is given in official notification. Two stamped self addressed envelope, etc. The Office of Comptroller & Auditor General of India will release notification advt between 3rd – 9th June 2017.